Integrity is core and essential within our organization. Accurate data drives our process. 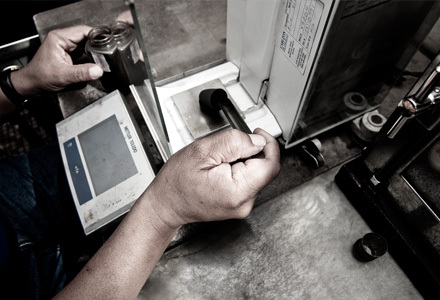 Our process hinges on our experience, our integrity, our specialized equipment and results. Our reputation comes from quick turn-around, accurate, and reliable services; this spanning almost seven decades. HRT service means staying ahead of trends and technology with technically accurate sampling and analytical equipment; the best available. We always welcome world class clients to our privately owned and operated testing laboratories to witness our processes firsthand. HRT has membership and play key roles in the top scientific testing societies and is part of Sampling Associates International (SAI). SAI is an industry leader in the design, operation and maintenance of mechanical sampling systems. SAI is located at ports all over the world. Accuracy takes dedicated technicians, experienced 20 and 30-year veterans, and the most advanced instruments and equipment. 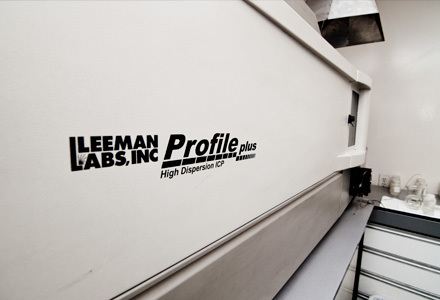 It requires an incomparable commitment to providing the most efficient sampling and testing methods for your product. Our renowned accuracy has brought us major exporters, importers, and brokers from every corner of the world. Our attention to accuracy, combined with the efficient design of our laboratory, enables us to perform over 100 analyses every 24 hours. Your confidence in your coal relies on our accuracy. When you receive a report from HRT, you get it on time, and you know it is accurate because of the standards we adhere to during every step of our process. From stockpile and dock sampling to coal blending and chemical analysis, our long list of sampling and testing services are in full accordance with ASTM and/or ISO procedures. We also perform daily and monthly round robin analysis to insure the quality and calibration of our equipment. From consulting and contracting to creating custom-designed software, HRT has specialized services that extend to every facet of the coal and coke industry. In a laboratory analysis of coal and coke, we perform such tests as: ultimate analysis, total and forms of Sulphur, Gieseler plasticity, and mineral analysis, just to name a few. 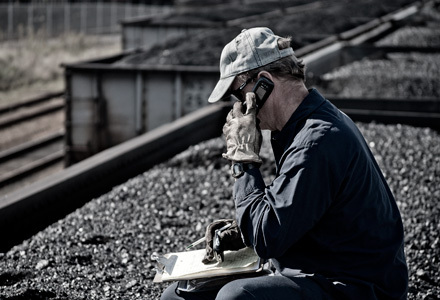 At HRT, your coal/coke is on-line with our computer network system. Our preparation and balance programs provide prompt and confidential analysis with total reliability. HRT offers a unique Coal Blending Computer Program which allows you to blend coals with high accuracy and relatively low cost. We are one of the only labs capable of creating individualized software programs for your specific needs. We are also one of the few commercial labs in the country providing Coke Strength After Reaction (CSR testing). This process is also known as post reactions strength of coke, patterned after the Nippon Steel test procedure. With a customized computer system rapidly calculating and analyzing your data, and printing your complete report in only a few minutes, your Certificate of Analysis is there when you need it. We’ll usually have your full analysis report ready for you between 24 and 48hrs of the initial sample receipt submission. We always make your coal journey from railcar to client as swift and successful as possible. If you would like to take a closer look at Hampton Roads Testing Laboratories, we are happy to arrange a tour of our facilities. Contact us today and one of our team members will provide you with more information on scheduling an appointment.